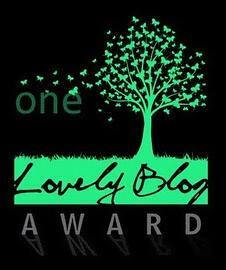 Thank you to Bookworm Shivalika @ Whimsy Journals for nominating me for the One Lovely Blog . This month, I ran my first 5K. When I have writer’s block, I’ll usually stop and bake, read, or do something else creative. My music sometimes distracts me from writing. I don’t check GoodReads very often. Currently my favorite genre is young adult high fantasy. I knew that I wanted to be a writer very early in life. Clayton @ Page Turners Inc.